India-Australia T20s and ODIs will begin this month from Feb 24. Ahead of the tour, Virender Sehwag turned babysitter for a TV commercial on the series. The ad made references to the Rishabh Pant-Tim Paine banter during India's recent tour of Australia. 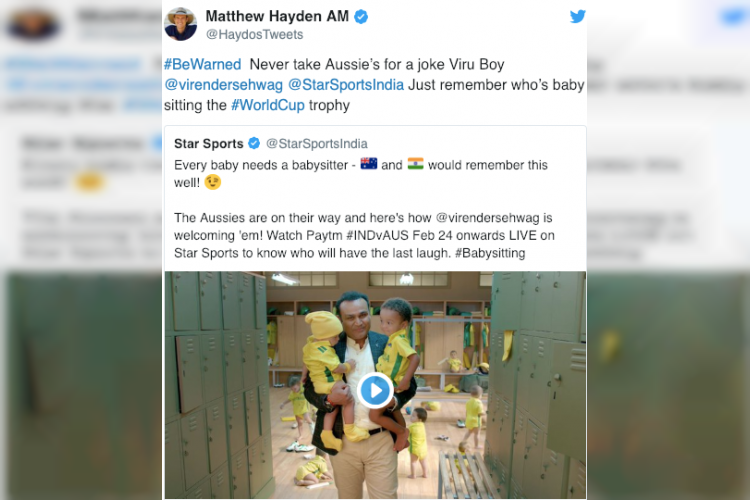 Seeing the ad, former Australian opener Matthew Hayden reacted quickly and warned Sehwag & India about taking the Australian cricket team lightly.